Tourism in Albania has been mostly focused in beaches and known natural resorts or National Parks but this small country is a real oasis of natural stunning places as there are many yet unknown destinations to visit in country. Considered as an unexplored country, Albania has yet unexplored touristic spots, remote villages with untouched nature by the hand of humans. For all curious and adventurous tourists, Stebleva and Gllave villages are the perfect destination to visit and explore during the entire year. 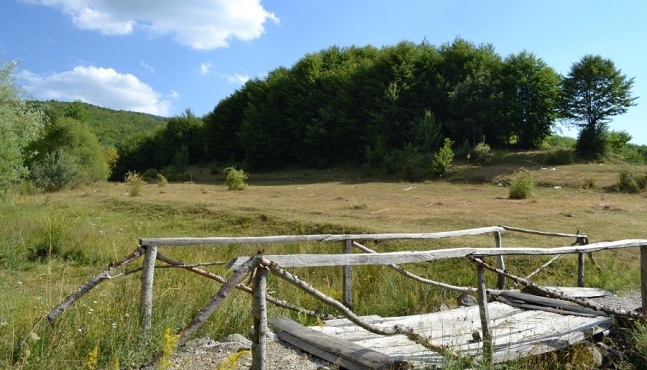 Stebleva is an untouched natural oasis of the mountainous tourism situated in the eastern part of the Middle Albania and bordered by Macedonia, often described as a natural theatre for the wonderful interweaving of mountains, lawns, forests and rivers. The highest peak of this village is “Maja e Zeze” (Black Peak) at an altitude of 2225 meters, and the second highest peak is Raduci mountain at an altitude of 2084 meters above the sea level, situated in the east of Stebleva. 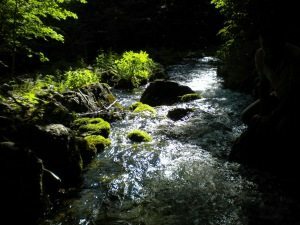 The village is permeated by small rivers and streams which form the “Zalli i Stebleves” river known for a rare species of fish known as the river trout (know as mountain trout or in Latin as Salmo truta fario), which in Gjorica village in Dibra county joins the Black Drin river. 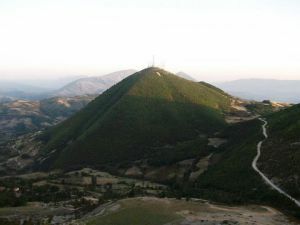 The Albanian government announced the massif of “Studën – Kallkan – Jabllanicë – Kodra e Borovës – Dragan” as a state protected area, which highlights the importance of the area as a potential and promising touristic destination in the country, yet unexplored. 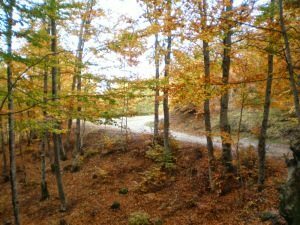 Despite the natural spots the visitors may explore in Stebleva village, another exploring alternative is the visit in the karstic lake which is surrounded by ancient rocks and is located in the Dragani Mountain. Stebleva offers extraordinary opportunities for skiing in the natural pistes of mountain sites and other mountain sports during all seasons of the year in Kallkani and Mllaci mountains. 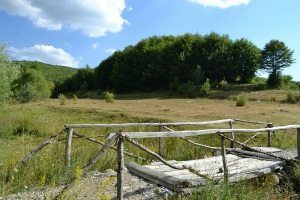 During the nineties, Stebleva was known for the developed livestock activity by the locals and the timbers that were used as raw material by joinery factories. The construction of Tirane – Elbasan road has reduced the length of the distance of Stebleva village with Tirana capital by 75 kilometers. A very important investment by the government will be the establishment of a bordering cross point of Albania with Macedonia. This will attract Macedonian tourists to visit the village since Stebleva is situated only 30 minutes from Macedonian city of Struga. Gllava village is situated in the remote areas of southern Albania, part of Tepelena district and situated in the crossroad of Tepelene, Skrapar and Permet cities. It is a mountainous village with an uncommon natural beauty. The locals live by selling agricultural and farming products and by utilizing the touristic resources to increase their revenues. 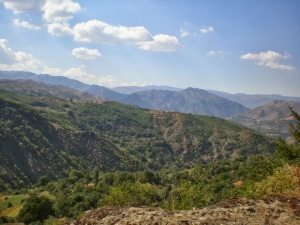 Being aware of the potential this village has in terms of mountainous tourism, the locals have started transforming the environment by adapting their houses for tourists and transforming them into typical Albanian guesthouses. They also have started adapting and utilizing many water resources of the area for tourism purposes. Gllava is a very attractive and exciting destination for backpackers and curious tourists who seek to explore the country.